Your next car says a lot about you–and when things like economy, efficiency, and excitement are important for your investment, you have options. Of course, the Italian design of a FIAT 500 Pop is likely at the top of your list; the Smart ForTwo Passion may be another appealing option, but how do these two compare? 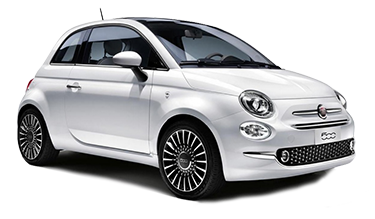 Take a look at the following details to find out and once you have an idea of the advantages that come with a FIAT 500 Pop, come see us for a test drive at FIAT of Tacoma, south of Kirkland, WA. The FIAT 500 Pop may be thought of as a similar car to the Smart ForTwo Passion–and with such similar price tags, it makes sense. However, when you take a closer look at the design of these two respected little cars, you will see that the similarities end with the price tag and fuel economy. The first thing you are likely to notice is that the 2016 FIAT 500 Pop provides room for 4 passengers while the Smart ForTwo Passion only has 2 seats. This means that if you and two of your closest friends wanted to go out to lunch, you are better off with the FIAT 500 Pop less things get awkward. 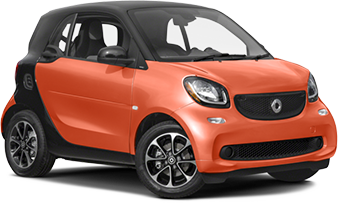 If cargo is involved, you will again find the advantage in 30 cubic feet of maximum cargo room in the 2016 FIAT 500 Pop compared to a mere 12 Cubic feet in the Smart ForTwo Passion. In terms of design, there is clearly no comparison, so stop by and find out more at FIAT of Tacoma where we always make the trip from Bellevue, WA well worth the time. Performance is another area where the 2016 FIAT 500 Pop provides more for your money than the Smart ForTwo Passion. The fuel economy of each car is very nearly the same, yet the 2016 FIAT 500 Pop provides you with noticeably more horsepower to go with the two extra seats. The 2016 FIAT 500 Pop is also a front-wheel drive vehicle, making it much better for adverse road conditions. The rear-wheel drive Smart ForTwo Passion may well prove more difficult to control on slick roads. Ultimately, it is behind the wheel where you will best recognize the difference in performance between these two vehicles. Stop by FIAT of Tacoma and let us take you for an exciting test drive south of Renton, WA. When considering your next small car, it is important to pay close attention to safety. Both the 2016 FIAT 500 Pop and the Smart ForTwo Passion come with the safety technology we expect in a new car like airbags and traction control. However, the 2016 FIAT 500 Pop takes your safety a step further with features like standard 4-wheel disc brakes where the Smart ForTwo Passion finds rear drum brakes as sufficient. Even though the FIAT 500 Pop provides great all-round visibility, the engineers have eliminated any blind spot with the inclusion of convex spotter mirrors on the driver and passenger mirrors. There is a lot more to how well the 2016 FIAT 500 Pop will protect you and your passengers so come find out more here at FIAT of Tacoma where we are proud to serve Federal Way, WA. While other dealerships often tell you that their vehicles are the best and hope you don’t look up the facts, we provide you with all the information in research pages like this one. Here at FIAT of Tacoma, we are proud to provide Auburn, WA and beyond with all the information on our huge selection of the latest FIAT models and we also frequently update our generous specials. Take a look at our selection of certified pre-owned FIAT models or find your next ride in our wide variety of quality used vehicles. You might be surprised at how easy it is to upgrade your ride with help from our experienced finance team. Our knowledgeable sales consultants will treat you with the respect you deserve and a level of professionalism that has become hard to find. Give us a call at (253) 830-5700 to schedule your test drive or simply stop by our convenient location at 3740 S Tacoma Way, Tacoma, WA 98409, serving Kent, WA. We look forward to meeting you at FIAT of Tacoma.